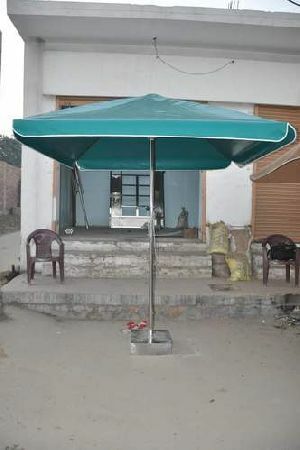 Frame : Lever Open and Rust Free White Powder Coated Mild Steel Shaft & Ribs. 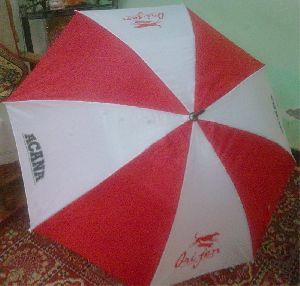 Customization : Customization in fabric color/type , printing, packing, is possible. 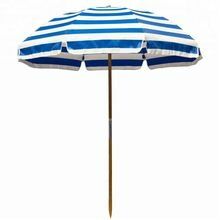 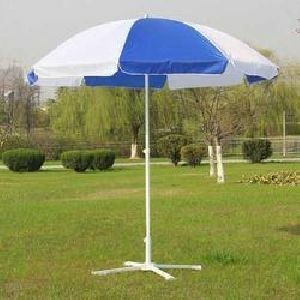 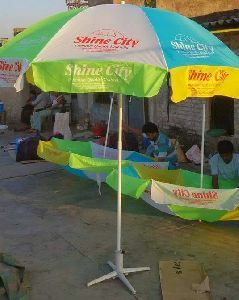 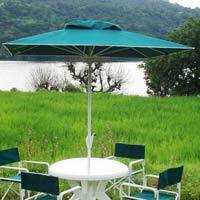 Specification: - Size:- 36"x8 / 40"x8 / 42"x8 / 48"x8. 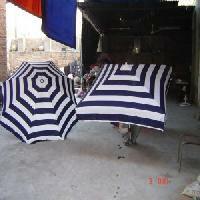 Cloth: - Polyester / Nylon / Pongee. 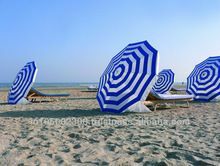 Prints: - Many prints choice available. 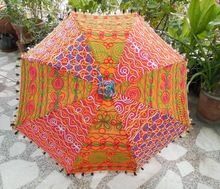 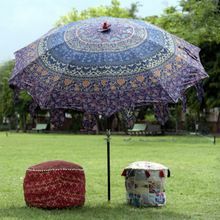 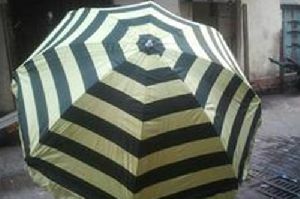 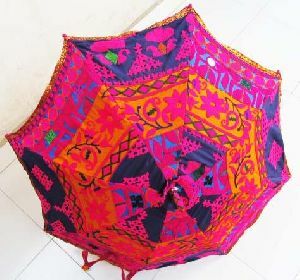 This umbrella is handcrafted by village artists in Rajasthan. 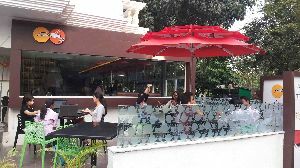 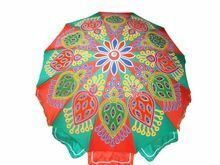 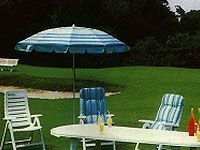 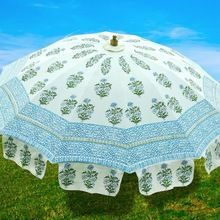 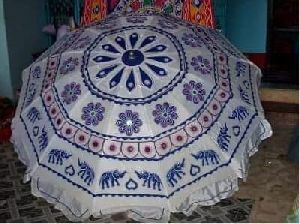 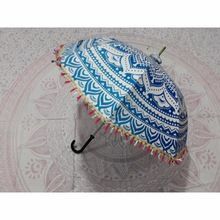 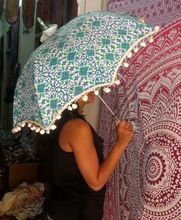 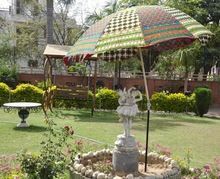 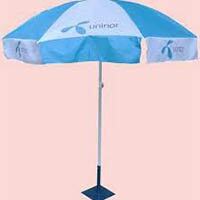 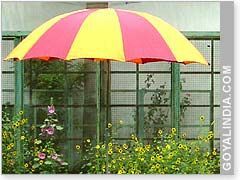 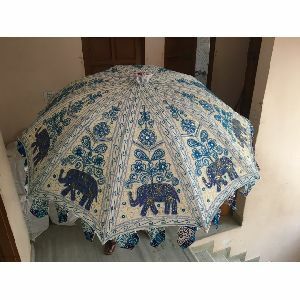 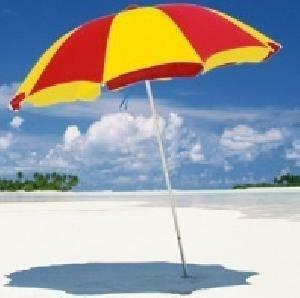 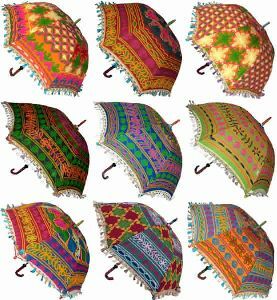 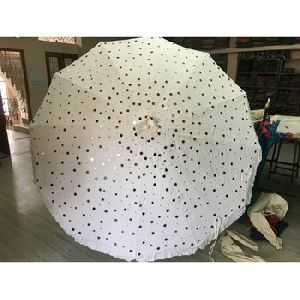 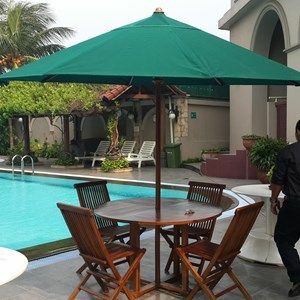 The Umbrella is beautiful and complete decorated with embroidered work. 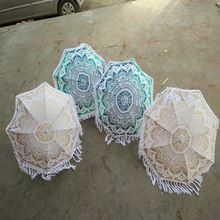 These handicraft are designed in various color combination. 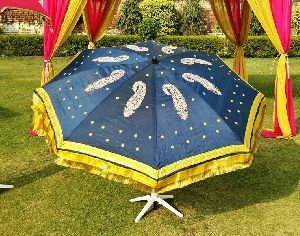 Open Diameter : 80" Inch (Diameter) Approx.